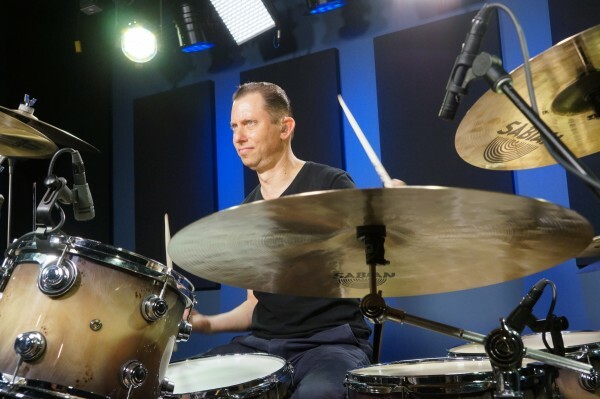 When learning any kind of rudiment, groove, or fill, slow it down, and force yourself to get comfortable with the larger amount of space between the notes. When you hear a cool song and you’re tapping along, that’s pulse. 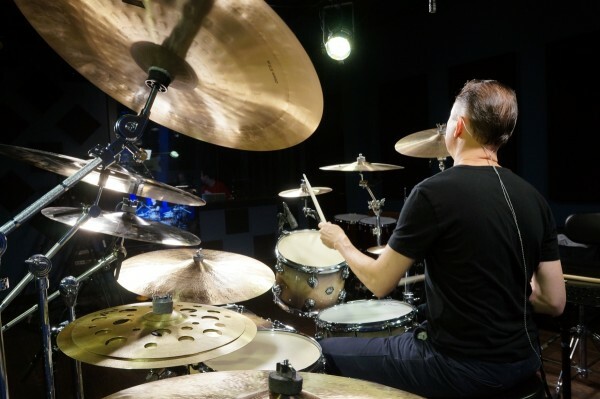 And if you can tap into this idea of pulse or have that in your mind when drumming, it is going to help flavor what you do, help inform what you do to make you a better drummer. David Bowie’s first album came out in 1967, when I was just a year old. His final album was released three days ago. During the intervening 48 years, David Bowie put a steady stream of brave, bold, intelligent and fantastic music into the world, always living on the cutting edge, always evolving as an artist. With each new decade, and each new incarnation, Bowie’s music imprinted itself on the soundtrack of my own life – providing insight, inspiration and commentary to whatever I happened to be experiencing at the time. The number of musicians who have impacted me in this manner can probably be counted on one hand. I didn’t love all of Bowie’s output, but I always listened – he made music that was worth listening to. For me, Bowie’s departure leaves a gaping hole in the world of music – an uncalculable loss. How can there be a world without David Bowie? He really did seem like some kind of alien, an energy force to whom the rules of life and death did not apply. Undoubtedly, Music will move on, but my heart breaks to let go of this man who has spoken to me, taught me, inspired me and given me great joy for practically my whole life. I know I’m not the only person who feels this way. Godspeed, Major Tom – one can only imagine your next cosmic destination. 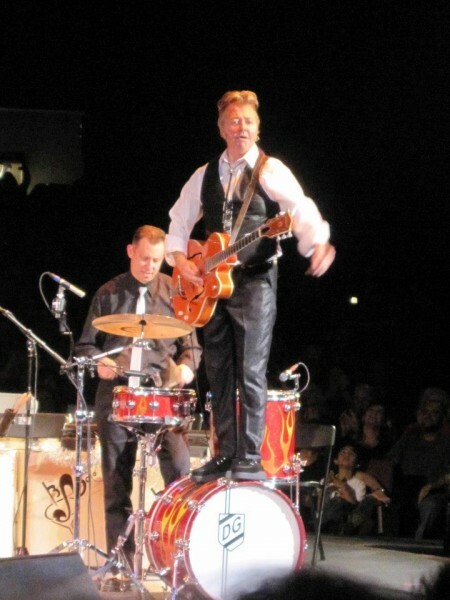 In addition to Royal Crown Revue, Daniel played with a diverse array of artists including Brian Setzer (pictured), Bette Midler, Liza Minelli, and Gene Simmons of KISS. With everything that I do, I talk about not only how to play in a certain style, but I try to bring it to life and talk about what the era was like. I’ve always loved music. When I was a kid, my parents refused to buy a television – they were sort of taking a stand against letting their children’s minds be rotted by television – so my sister and I became radio fanatics. We listened to the radio from morning till night, and really listened, perhaps more so than our peers. 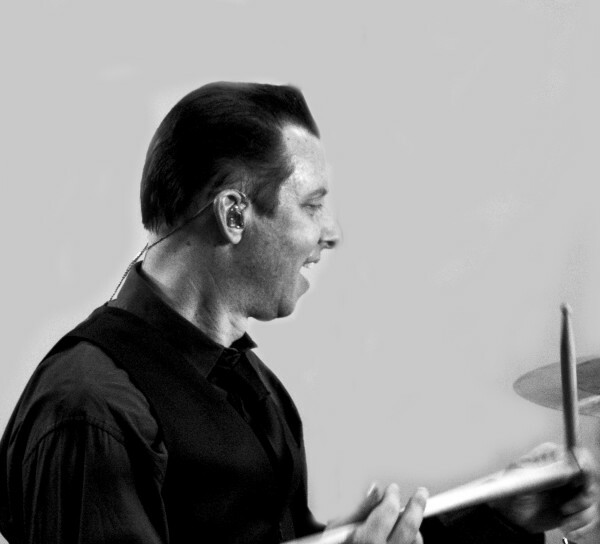 I think that set the course for my life as a musician, in terms of the way I thought about and understood music. One of my all time favorite clips! Animal gets into it with the spicy Rita Moreno, and the gloves come off! 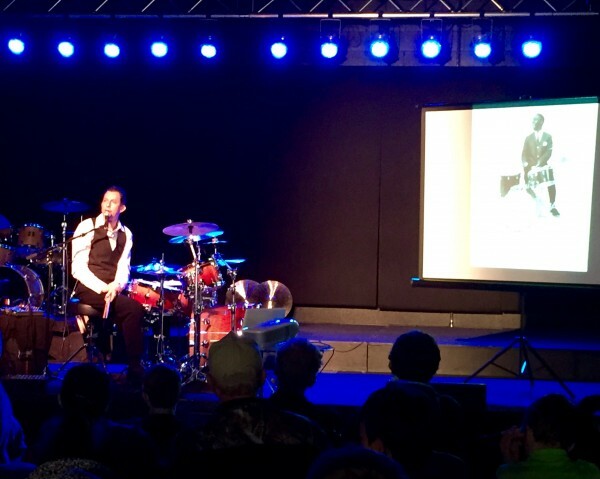 The ability to swing comes from an attitude that you bring to your playing. 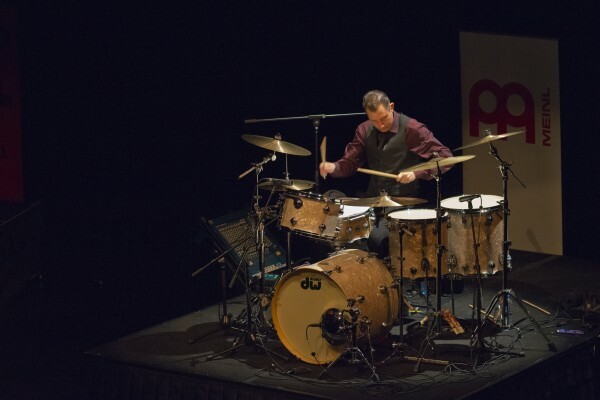 It’s a relaxed precision, a confidence, and a swagger and that allows the music you make – whatever the style – to flow effortlessly and get the audience MOVING. 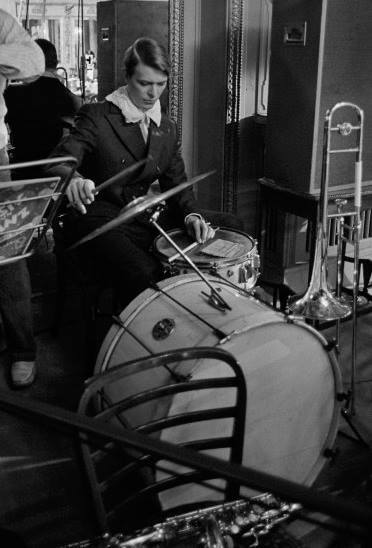 While it may seem like double bass is a rather new invention, it’s origins can be traced back to Louie Bellson. Bellson wrote and debuted the first piece to feature double bass in the early ’50s when he was with Duke Ellington’s orchestra! For double extra credit, what was the name of that piece? 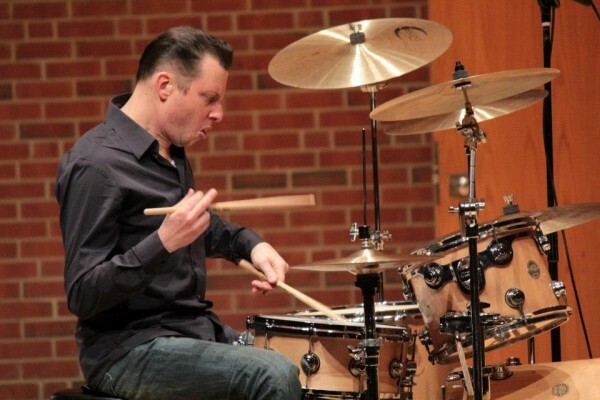 When practicing jazz comping figures on the snare, most drummers don’t think about the LENGTH of the notes they’re playing (quarters vs. 8ths, for example), only which BEAT they’re playing ON (the “and of 2,” for example). In other words, rather than thinking of each exercise as a “melody” (the way the other instrumentalists in the band would), they are only thinking about the placement of the notes – more like a math problem than music. What typically ends up happening is that the entire pattern sounds very staccato and the snare is much too loud compared to the other limbs. In order for us to express rhythmic phrases with a JAZZ awareness (meaning, the same as a sax or piano player would), we have to take into account the note LENGTHS (8th=short, Quarter=long) when we play them. The way to create this distinction is to first SING the phrases in the manner or other instrumentalists. Once we start expressing the notes as MUSIC (rather than simply rhythmic ideas), our hands will naturally follow in creating the appropriate feel. Get it? To use the contact form, click here. Copyright © 2015 Daniel Glass | All rights reserved. Products can be purchased from the Merchandise page. To Purchase an item, or several items, click on the product’s title–the link that takes you to the product page. Click on the ‘Add to Cart’ button. You can see and edit your purchases in the ‘Checkout’ page on the top-right menu. To Add more items to your Cart, go back to the Merchandise page and repeat Step 1! DVD purchase options: Physical DVD or Digital Download. You can select to purchase the physical product and/or the digital download of the Video content. You can purchase the physical DVD package on this Website; the Digital Downloads are available in Daniel’s store on PlatformPurple.com. DanielGlass.com integrates with PayPal, a secure payment gateway that allows customers to pay in the way they prefer. PayPal allows payment through credit cards, bank accounts, buyer credit, or PayPal account balances. PayPal is a global leader in online payment solutions, and is available worldwide. You don’t need to already have a PayPal account to pay with PayPal. You can pay with your credit card. In the ‘Checkout’ (also called ‘Cart’) page you can choose a method of shipping to receive your physical products. You must choose a shipping method. If you do not choose a shipping method, your order will not process. Choose country and zip/postal code of the address where you will receive your purchases. Each time you edit your order, click on the ‘Calculate’ button to determine the correct shipping price. When you are finished, click on the ‘Purchase’ button. You will be taken to the secure PayPal Website to complete the purchase. Please review your order. Choose whether you’d like to use your PayPal account, or process your order as a ‘Guest’ of PayPal (without registering for an account). When in your PayPal account, you may choose any method of payment that you have in your account.